Age does not matter whenever it comes to chocolates. It is sugary, yummy, sweet smelling, tasty, delicious and no doubt lip-smacking. Especially kids always show their inclination towards chocolates. 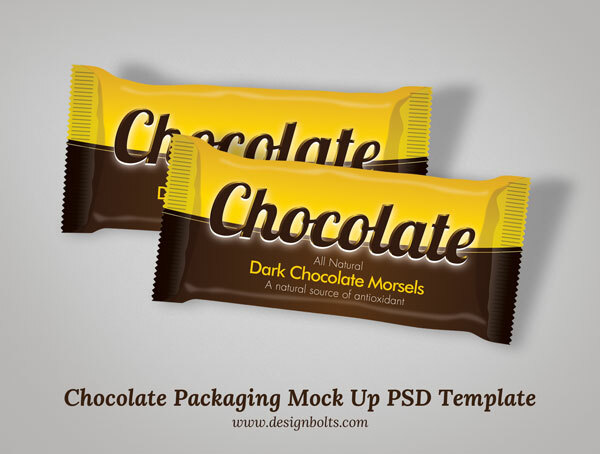 I’m a chocoholic too and that’s what moved me to make a chocolate packaging mock up PSD template. This mock up PSD also has chocolate packaging design in Vector format. Feel free to use it in your upcoming project. I hope this Free mock up PSD will be useful for you if you have any queries do comment.